Cori Reich joined Ox Ridge in 2018 as assistant trainer, teaching all levels from beginner to advanced in Hunters, Jumpers and Equitation. Cori earned a major in Equine Studies at Centenary University and proudly represented Centenary on their ISHA Team where she won the 2013 USEF/Cacchione Cup. Cori trained at Rolling Coach Farm in Pennsylvania and has trained clients in Wellington, FL. 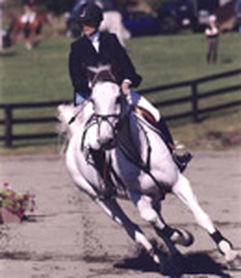 Timmy brings over 30-years of experience to Ox Ridge as one of the country’s most prominent hunter/equitation trainers. Timmy began his career by selling horses from the race track to George Morris and Ronnie Mutch. He later joined Mutch as assistant trainer at Nimrod Farm in Weston, CT. His expert instruction has led his students to win top trophies for the ASPCA Maclay, the AHSA Medal and the USET equitation finals a total of seven times. Timmy is an USEF ‘R’ judge and conducts clinics throughout the country. He was recently inducted into the National Show Hunter Hall of Fame. William Newnham will become the Head Squash Professional in March 2019. Will comes to Ox Ridge from his position as Squash Professional from the Racquet & Tennis Club in New York City where he coached singles and doubles squash for seven years. He started playing squash in his youth growing up in England. His talent and commitment led to a stellar junior career where he consistently held a top 10 ranking in the country. Upon graduating from Rochester with a BA in psychology and becoming an all American, Will moved to Stamford, CT where he coached top juniors to national titles.